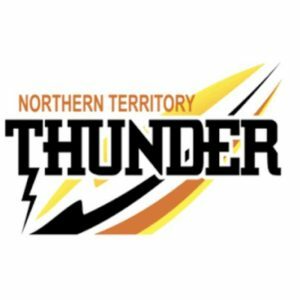 THE second round of the South Australian National Football League (SANFL) Women’s takes place tonight with a grand final replay highlighting an exciting round of action. The opening game of the round sees two losing sides from Round 1 face off to try and get their first win on the board. Both sides have made minimal changes, with Rooster, Gabrielle Gormlie coming in for her first game, replacing Sharni Tansell. For Sturt, Nicole Baker is a welcome inclusion back into the Double Blues’ side, as is Jessie Keech, while Casey Fraser is out with a broken hand, joining Della Griffith on the sidelines. Last week, Roosters captain Nadia Von Bertouch was a leader on-field with 15 disposals, four marks and eight tackles, while defender Amber Ward was efficient with 17 disposals and nine rebounds. Both sides will be keen to put more scores on the board with North booting 1.5 and the Double Blues 2.2. Izzy Kuiper was the highest disposal winner for Sturt with 15 touches and four tackles, while Alexandra Ballard, Georgia Bevan and Maya Rigter all recorded 12 disposals. West Adelaide hosts Woodville-West Torrens in a bid to make it two wins in a row for the Bloods, while the Eagles are hoping to snare an inaugural win. West Adelaide have just the one confirmed out – Lauren Rodata (concussion) – while bringing in three players with Jacalyn Pickering, Alice Gee and Mary Smith all named. The Eagles have rolled the dice with six players coming into the side and five outs. Madeline Dufek is the sole forced change with a knee injury, while Shae Pacifico-Hart, Taylor Hand and Courtney Jonson are also out of the side. Among the ins are Adelaide AFL Women’s forward, Sarah Perkins and South Australian Under-18 vice-captain, Rachel Dunstan. Madison Newman (26 disposals, four marks, six inside 50s and six rebounds) had a day out for the Bloods in Round 1, while Rachelle Martin laid a massive nine tackles to go with her 23 touches, four rebounds and a goal. Leah Swain was dominant in the ruck with 24 hitouts, as was Caitlin Sampson who recorded 19 for the Eagles. Jaimi Tabb and Georgia Taylor were equally as crucial for Woodville-West Torrens, notching up 17 disposals each, with Tabb going inside 50 five times, and Taylor rebounding the ball nine times. Kiana Lee was the sole beneficiary up forward with the Eagles’ two goals. Last year’s wooden spooners got their season off to the best possible start last week with a 35-point win over Woodville-West Torrens, while Central District fell to West Adelaide by 20 points. Lucy Bellinger racked up 23 disposals, 10 marks (two contested), five tackles, four inside 50s and two goals in a best on ground performance against the Bulldogs, while Ellen Fauser and Samantha Franson both picked up 15 disposals and kicked a goal. Central District have named two ins to their side with Kimberly Fry named on the half-back flanks and Shalee O’Brien brought onto an extended bench. Jayme-Lee Sonneman recorded 16 disposals, three marks, three tackles, three inside 50s and three rebounds, while Danielle Stewart (15 disposals, two marks and eight tackles) and Katelyn Rosenzweig (12 disposals, two contested marks ad three tackles) were also crucial in the loss. This week Rosenzweig was named at full-back with the Crows AFL Women’s forward looking likely to play in a new role tonight. Two impressive winners from Round 1 were last year’s grand finalists and they face off in Round 2 in what should be considered the match of the round. The Redlegs have made just two changes to the side that triumphed in Round 1 and will be keen to back it up against the high-scoring Panthers outfit. Adelaide AFL Women’s young gun Nicky Gore was the big ball winner last week, racking up 19 disposals, five marks (two contested) and laying 10 tackles but will not take the field in this game. She was the sole out for the Panthers with Emily Woods, Natalie Gibbs and debutant, Emily Brockhurst named in the extended side. Hannah Munyard and Nicole Campbell also shared in 19 disposals, with the former booting a goal. Teah Charlton was lively up forward for the Panthers, creating havoc on her way to three goals. For Norwood, Hannah Dunn had a league-high 29 disposals in Round 1, while also recording four marks and five inside 50s. Najwah Allen booted the Redlegs’ two goals, while Monique Hollick continued where she left off last season with 12 touches and seven inside 50s. 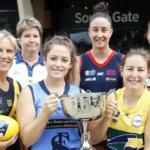 LAST year’s grand finalists both enjoyed victories in the first round of the South Australian National Football League (SANFL) Women’s League, while both newcomers suffered defeats despite promising starts. Glenelg: Lucy Bellinger, Hannah Crump 2, Ellen Fauser, Sam Franson, Brooke Trevena. Last year’s wooden spooners got their season off to the perfect start, as Glenelg proved too strong for league newcomers, Woodville-West Torrens. The Tigers had a fight on their hands early, and toughed it out in the second half, but a four goals to zero second term proved to be the difference for the winners. Samantha Franson made history with the first SANFL Women’s League goal for 2019, then teenager, Kiana Lee did the same, becoming the first Eagles goalkicker in the team’s history. With the game tight eight minutes into the second term and Glenelg leading by a point, Hannah Crump popped up to boot two consecutive goals, before Ellen Fauser joined the party and in less than four minutes, Glenelg had opened up a 20-point lead. A quick goal before half-time to Brooke Trevena had the Tigers 26 points up and in control. Lee gave the Eagles a glimmer of hope with a goal midway through the third term to cut the margin to 28 points, but two goals either side of the final break to Lucy Bellinger, put the game beyond doubt as Glenelg enjoyed the 35-point victory. Bellinger was ultra-impressive for the Tigers throughout the game, racking up 23 disposals, 10 marks (two contested), four inside 50s, six tackles and two goals in the win. Fellow goalkickers, Fauser and Franson both had 15 disposals, while Fauser got free for six marks, and Franson laid seven tackles to cause headaches for the opposition. For the Eagles, Jaimi Tabb was superb in the front half of the ground, notching up 17 disposals and five inside 50s, while teammate Georgia Taylor did everything she could in defence, recording nine rebounds to go with her 17 touches and three marks. Caitlin Sampson was huge in the ruck with 19 hitouts as well as her 10 disposals. Next week Glenelg faces another new side in Central District, while the Eagles look to secure their first win when they take on West Adelaide. Both sides were considered contenders heading into the match, and it proved to be a battle of attrition as neither side managed to find the big sticks in the first half. At the major break, a combined 13 behinds had been scored, with the Redlegs five points ahead. Failing to score in the third term, Norwood found itself down by two points at the final break, courtesy of a drought-breaking Elysha Willis goal in the sixteenth minute. Another behind early in the fourth to the Redlegs saw them one point down and with 10 minutes remaining, it looked as though the four points was heading home with North Adelaide. Enter Najwah Allen who became Norwood’s saviour in the final term, converting two goals in the final 10 minutes to help Norwood to the win. Allen was crucial with 20 disposals, three marks, three tackles and two inside 50s, while Hannah Dunn had a day out, recording a league-high 29 disposals in the win, as well as four marks and five inside 50s. Monique Hollick was busy in transition with seven inside 50s to pair with her 12 disposals, while Leah Cutting laid a massive 12 tackles to apply serious defensive pressure to the Roosters. For North Adelaide, Amber Ward was the leading ball winner with 17 disposals, but her work in the defensive half was superb, also racking up nine rebounds, and registering three inside 50s. Nadia Von Bertouch had 15 disposals, four marks (two contested) and laid eight tackles in a strong performance, while Lauren Daniel laid 12 tackles from her 12 disposals. Next week Norwood takes on South Adelaide in a Grand Final rematch in what looks to be a thrilling contest, while North Adelaide faces Sturt with both sides keen to get a win on the board. South: Teah Charlton 3, Alana Browne, Lauren Buchanan, Hannah Munyard. Sturt: Caitlyn Swanson, Lauren Lovell. It took until a final quarter flurry, but the SANFL Women’s League reigning premiers reminded the competition of what they were capable of, running out 32-point winners over Sturt to start their season off how they had left it. With a mix of youth and experience, Sturt threw up a challenge to the reigning premiers, leading at quarter time and heading into the main break level. Ultimately, the Panthers ability to finally find the big sticks proved the difference as they booted 1.1 to 0.1 in the third term to lead by a goal, before running away with a four goals to zero final term to sit top of the table after Round 1. Adelaide AFL Women’s midfielder, Nikki Gore was sensational winning the ball as easily as she had last year for the Panthers, and teamed up well with fellow youngster, Hannah Munyard, and Nicole Campbell of whom all three racked up 19 touches. Gore laid a massive 10 tackles in the win, while Campbell and Munyard combined for 15 inside 50s. Teenage sensation, Teah Charlton booted three goals to be a crucial link up forward, while AFL Women’s Academy ruck, Montana McKinnon had 20 hitouts to go with her 13 disposals and four tackles. Izzy Kuiper had the highest disposals for Sturt, notching up 15 for the game as well as four tackles, while former Crow, Georgia Bevan had six rebounds as well as her 12 touches and six tackles. Alexandra Ballard and Maya Rigter both finished the game with 12 touches to be among Sturt’s best as well. West: Melanie Elsegood 3, Kasia Culhane, Rachelle Martin, Zoe Venning. Central: Abbey Scheer, Chantel Reynolds, Laitiah Huynh. West Adelaide posted an important win over newcomers, Central District in the final game of Round 1. The Westies lead throughout the contest at each break, and although they were outscored by the Bulldogs in the final term, West Adelaide still recorded a comfortable 20-point win. Central District had a reason to celebrate early when Abbey Scheer put through the first major of the game just a minute into the match, but it was slim pickings for Bulldogs goals until the final term, until Laitiah Huynh found the big sticks just 39 seconds into the fourth quarter. 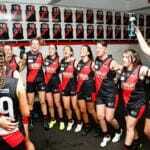 By that stage, Melanie Elsegood had booted three of West Adelaide’s five goals, and while Chantel Reynolds cut the deficit to just 15 points at the six-minute mark of quarter, and a behind to last year’s leading goalkicker Katelyn Rosenzweig saw it reduced to 14 points, it was not enough, as one of West Adelaide’s best – Rachelle Martin – kicked the steadier to ensure the victory. Madison Newman was huge for the Bloods, racking up a game-high 16 disposals, as well as six inside 50s and six rebounds, while Martin had 23 touches of her own and laid nine tackles with four rebounds. Talented youngster, Abbie Ballard was impressive in West Adelaide’s midfield, amassing 17 touches and three inside 50s while laying seven tackles. Former basketballer, Leah Swain had 24 hitouts working hard through the ruck, while Elsegood’s efforts inside 50 to boot 3.2 from just seven disposals showed how damaging she can be. For the Bulldogs, Jayme-Lee Sonneman had the most individual disposals, recording 16 touches as well as three marks, three inside 50s and two rebounds. Danielle Stewart‘s 15 touches were complimented by her eight tackles, three inside 50s and two rebounds, while Rosenzweig took two contested marks from 12 disposals, and while she did not kick a major, was still able to provide a presence up forward. Defender Gemma Doughty had a remarkable six rebounds from seven disposals showing how effective she was in providing support to the midfielders from the back half.